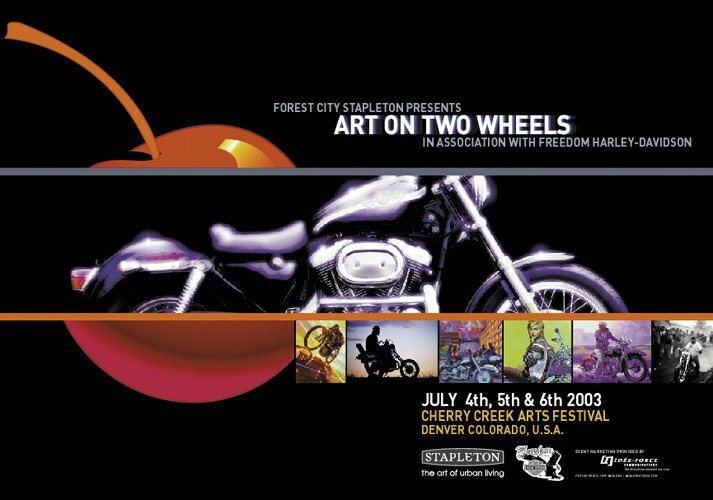 In 2003, my team was approached to promote a new special event: Art on Two Wheels. 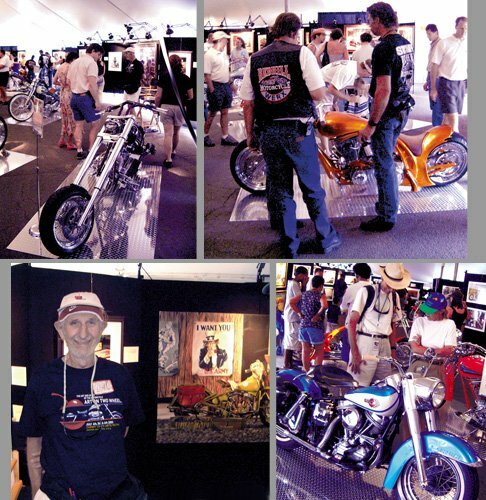 A first art exhibit tent featuring custom motorcycles and motorcycle-related fine art. 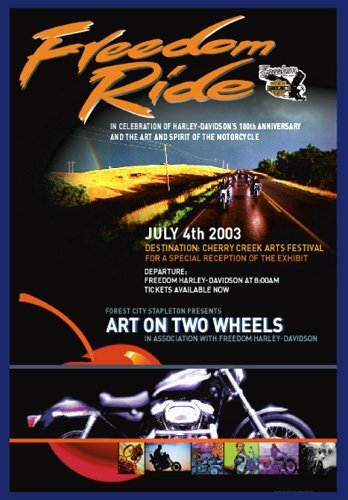 An art show within an art show. 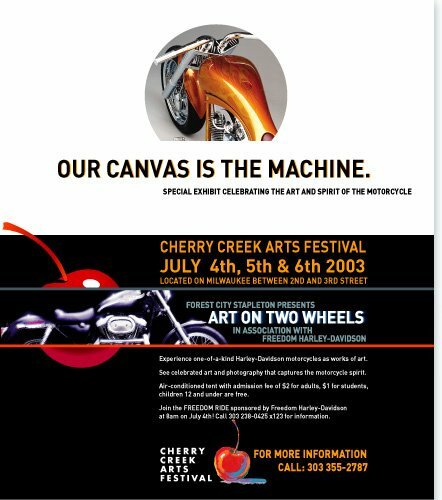 I developed an award-winning print ad campaign that ran locally. 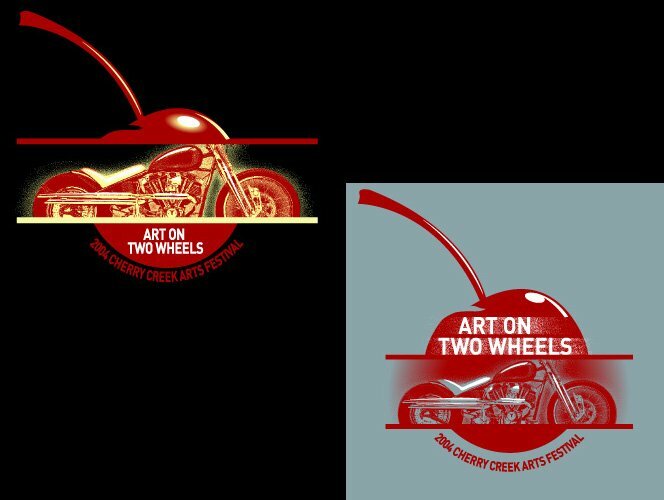 The campaign highlights the spirit of the motorcycle enthusiasts and artists whose medium is the motorcycle. 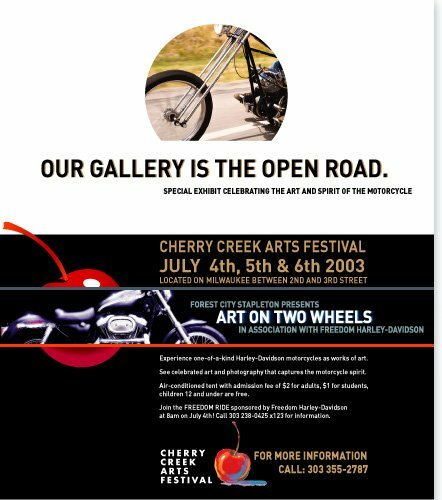 I also developed the event logo, posters, flyers and banners to promote the event. 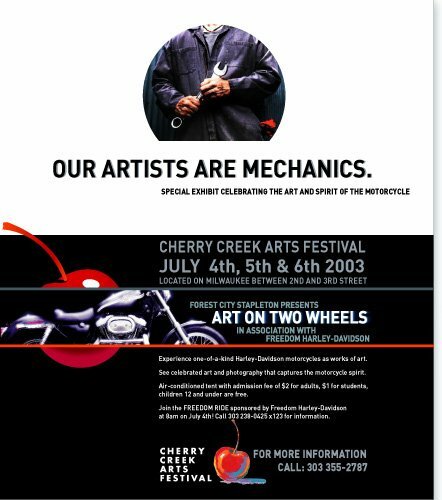 This print ad campaign won awards from three organizations: IFEA, IABC and AIGA.